Here is a little game with a hungry yellow knob that eats pills. The pills are spread around in a mysterious haunted maze. Try to escape the evil ghosts because they eat little yellow knobs! 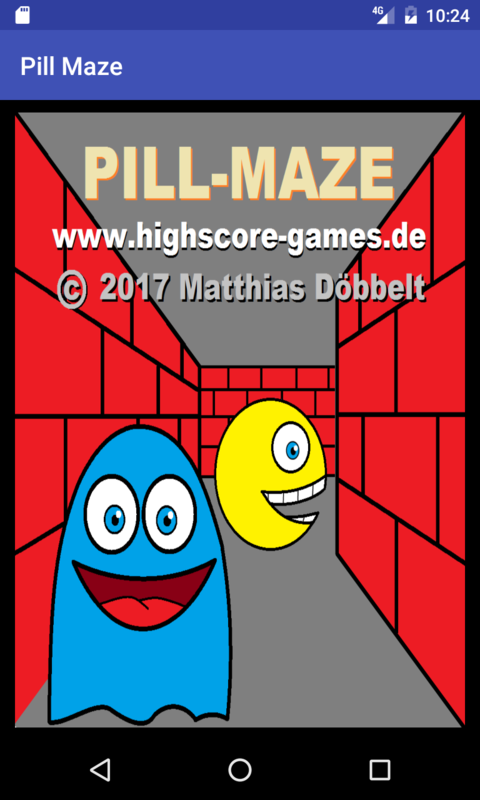 80s- like arcade game in a maze with many pills and four nasty ghosts. Evil aliens from outer space try to invade our poor little blue planet. Endless numbers of enemy lines marching down to the surface, their horrible leaders are flying above them. Only one ship can fight these nasty aggressors: Yours! The little witch wants to give a huge halloween party. 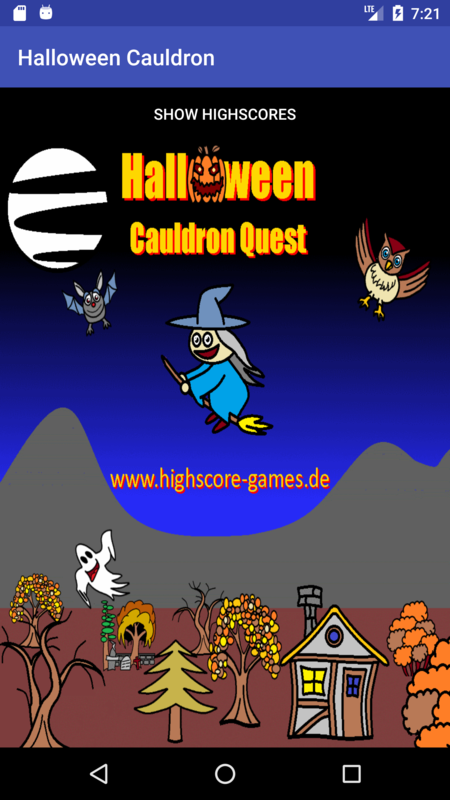 But before she can cook the traditional witches soup, she has to collect the right ingredients (such as stinkhorns, fly agrics and pumpkins). 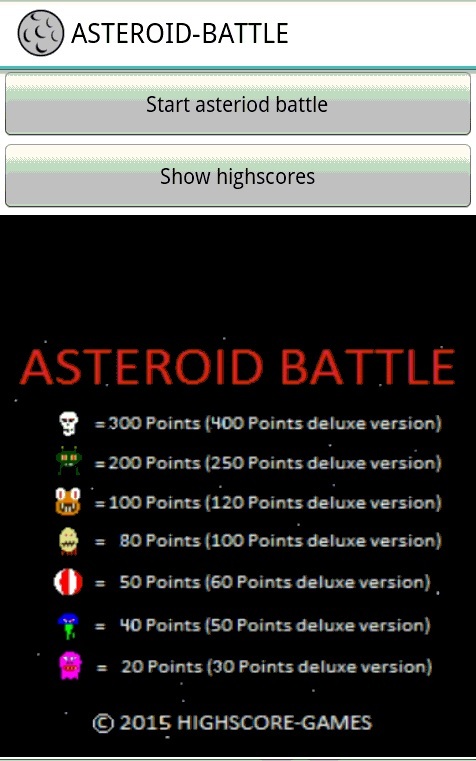 Fly with your spaceship through the asteroid fields from planet to planet before these worlds will be terminated. 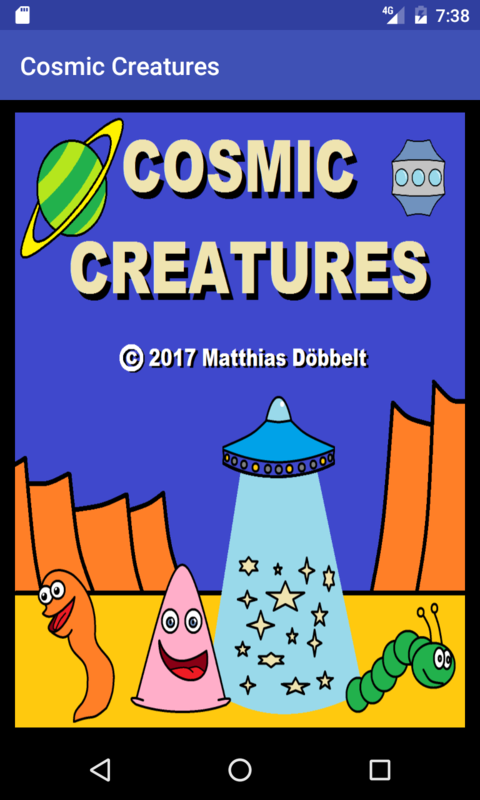 Rescue the cute cosmic creatures that live there from the surfaces of this varied and manifold worlds and bring them home! 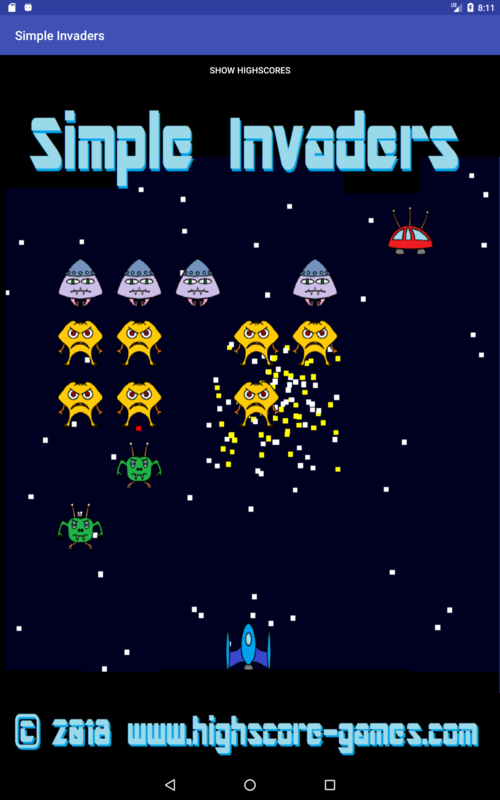 Since the 80s are not dead, here is a little game with a spacecraft that bombs enemy structures on far away planets. Fly above the surface and bomb all you can find! 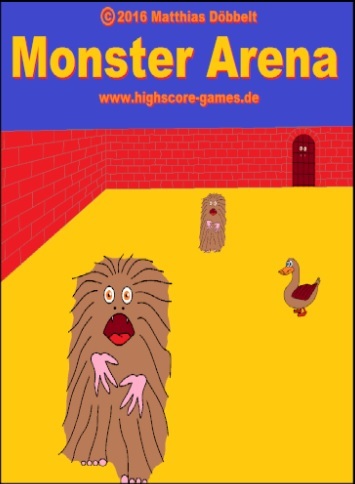 At the end of each level a nasty alien monster waits for you! Atlantis was not destroyed by a flood or an earthquake. It was destroyed by an army of invading aliens! 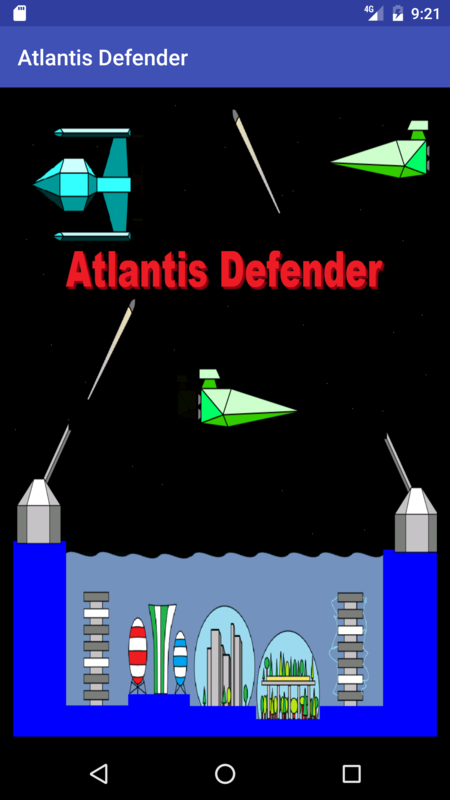 In this simple arcade game you can try to destroy the invading enemy fleet with three huge anti-aircraft-guns. The guns are fixed on three islands over the surface above the city of Atlantis. Fire what you can to end this evil invasion! Trumple, the little duck wakes up inside a great arena. From behind a dark gate the scary noises of huge creatures reach her ears. 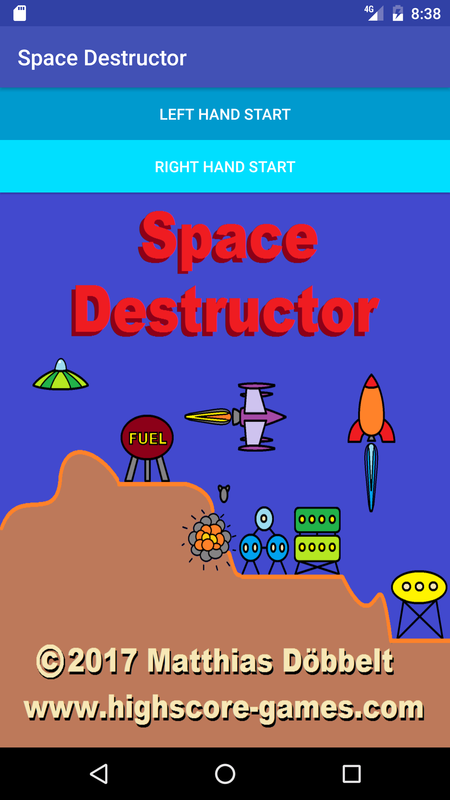 What, when the gate opens..
On your journey through the asteroid belt your flying saucer is attacked by nasty evil monsters. Defend yourself with the lasergun and destroy as many enemies as you can to get the highscore. 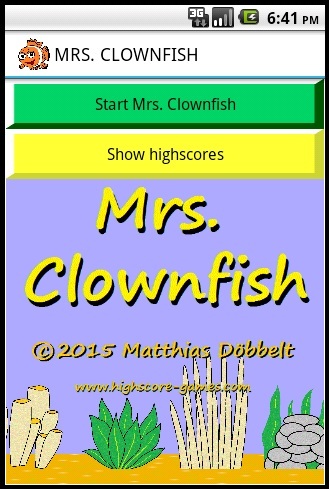 The game can be played on mobile phones and on tablets. Both in landscape mode and in portrait. 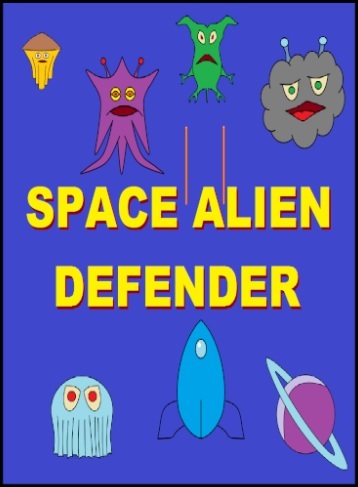 Evil ghosts from outer space try to destroy our planet. Wave after wave of those nasty beings marching towards the surface. You are the only one who can rise resistance. 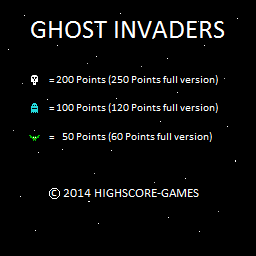 Use your laser gun to thin out the rows of the invaders.